An enemy combatant is a person who, either lawfully or unlawfully, directly engages in hostilities for an enemy state or non-state actor in an armed conflict. Prior to 2008, the definition was: "Any person in an armed conflict who could be properly detained under the laws and customs of war." 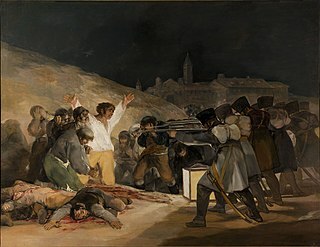 In the case of a civil war or an insurrection the term "enemy state" may be replaced by the more general term "Party to the conflict". The Manual of the Law of Armed Conflict published by the UK Ministry of Defence  uses the 1945 definition from the Nuremberg Charter, which defines a war crime as "Violations of the laws or customs of war. 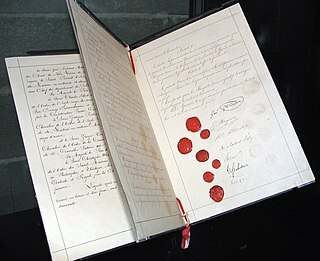 Such violations shall include, but not be limited to, murder, ill-treatment or deportation to slave labour or for any other purpose of civilian population of or in occupied territory, murder or ill-treatment of prisoners of war or persons on the seas, killing of hostages, plunder of public or private property, wanton destruction of cities, towns or villages, or devastation not justified by military necessity." The manual also notes that "violations of the 1949 Geneva Conventions not amounting to 'grave breaches' are also war crimes." 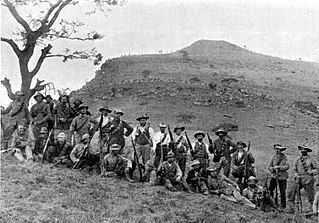 As part of the strategy to defeat the guerrilla warfare of the Boer Commandos, farms were destroyed to prevent the Boers from resupplying from a home base. This included the systematic destruction of crops and slaughtering of livestock,  the burning down of homesteads, poisoning of wells and salting of fields. Ventersburg is a small town in the Lejweleputswa District Municipality of the Free State province in South Africa, 148 km north of Bloemfontein. It was established on the farm Kromfontein which was owned by PA Venter who died in 1857. His son allowed a Reform Church to be established on the farm in 1864 and by 1871, the first plots of the original farm were sold. Ventersburg was declared on 6 May 1873. The Dutch Reform Church was built in Ventersburg in 1891 but it was burnt down in 1900 by the British forces during the Boer War. The church was later re-built in 1912. The Orange Free State was an independent Boer sovereign republic in southern Africa during the second half of the 19th century, which ceased to exist after it was defeated and surrendered to the British Empire at the end of the Second Boer War in 1902. It is the historical precursor to the present-day Free State province. Extending between the Orange and Vaal rivers, its borders were determined by the United Kingdom of Great Britain and Ireland in 1848 when the region was proclaimed as the Orange River Sovereignty, with a seat of a British Resident in Bloemfontein. 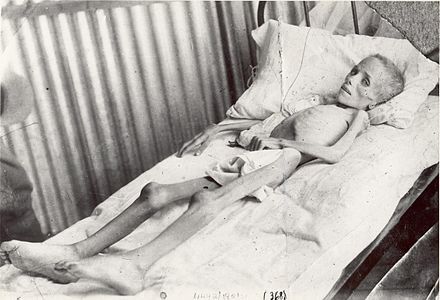 The Boer War also saw the first war crimes prosecutions in British military history. 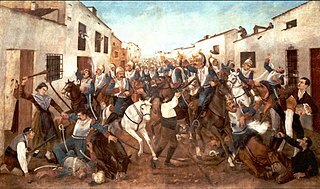 They centered around the Bushveldt Carbineers (BVC), a British Army irregular regiment of mounted rifles active in the Northern Transvaal. Originally raised in February 1901, the BVC was composed mainly of British and Commonwealth servicemen with a generous admixture of defectors from the Boer Commandos. After more than a century, the ensuing courts martial remain controversial. Mustard gas was first used effectively in World War I by the German army against British and Canadian soldiers near Ypres, Belgium, in 1917 and later also against the French Second Army. The name Yperite comes from its usage by the German army near the town of Ypres. The Allies did not use mustard gas until November 1917 at Cambrai, France, after the armies had captured a stockpile of German mustard-gas shells. It took the British more than a year to develop their own mustard gas weapon, with production of the chemicals centred on Avonmouth Docks. (The only option available to the British was the Despretz–Niemann–Guthrie process). This was used first in September 1918 during the breaking of the Hindenburg Line with the Hundred Days' Offensive. 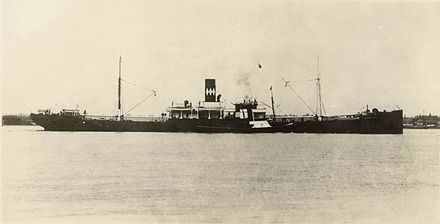 The Baralongincidents were naval engagements of the First World War in August and September 1915, involving the Royal Navy decoy vessel HMS Baralong and two German U-boats. Breaker Morant is a 1980 Australian war drama film directed by Bruce Beresford, who also co-wrote the screenplay which was based on Kenneth G. Ross' 1978 play of the same name. The Bushveldt Carbineers (BVC) were a short-lived, irregular mounted infantry regiment of the British Army, raised in South Africa during the Second Boer War. George Ramsdale Witton was a lieutenant in the Bushveldt Carbineers in the Boer War in South Africa. The 1902 court-martial of Breaker Morant brought to trial six officers – Lieutenants Harry "Breaker" Morant, Peter Handcock, George Witton, Henry Picton, Captain Alfred Taylor and Major Robert Lenehan – of the Bushveldt Carbineers (BVC), an irregular regiment of mounted rifles during the Boer War. SM U-27 was a German Type U-27 U-boat built for service in the Imperial German Navy. She was launched on 14 July 1913, and commissioned on 8 May 1914 with Kapitänleutnant Bernd Wegener in command. Captain Alfred James 'Bulala' Taylor, D.S.O. was a British Army officer, mass murderer, cattle rustler, war profiteer, and accused war criminal during the Scramble for Africa and the Second Boer War. HMS Baralong, also known as HMS Wyandra was a Royal Navy warship that was active during World War I. She was a "Special Service Vessel" whose function was to act as a decoy, inviting attack by a U-boat in order to engage and destroy it. Baralong was successful on two occasions in her career, sinking U-27 in August 1915, and U-41 in September 1915; however both these actions caused controversy, particularly the first, being referred to as the Baralong incidents. Breaker Morant: A Play in Two Acts is a significant Australian play written by Kenneth G. Ross, centred on the court-martial and the last days of Lieutenant Harry "Breaker" Morant (1864–1902) of the Bushveldt Carbineers (BVC), that was first performed at the Athenaeum Theatre, in Melbourne, Victoria, Australia, on Thursday, 2 February 1978, by the Melbourne Theatre Company. Carl August Daniel Heese was a German missionary in South Africa. He was killed during the Second Boer War, his death was one of the issues at the court martial of Breaker Morant. Pardons for Morant, Handcock and Witton, three Australian soldiers, were sought from their convictions for war crimes - the murder of several Boer prisoners-of-war - during the Second Boer War. Captain Godfrey Herbert, DSO and bar, was an officer of the Royal Navy who was sometimes referred to as 'Baralong Herbert', in reference to the Baralong incidents that took place during World War I. In a naval career stretching from 1898 to 1919, and with a return to duty between 1939 and 1943 in World War II, Herbert had several close encounters with death. James Francis Thomas, was a solicitor from Tenterfield, New South Wales. ↑ International Committee of the Red Cross. "Practice Relating to Rule 156. Definition of War Crimes, United Kingdom of Great Britain and Northern Ireland". International Committee of the Red Cross. Retrieved 6 July 2014. ↑ Pakenham, Thomas (1979). The Boer War. New York: Random House. p. 440. ISBN 0-394-42742-4. ↑ John Boje (2015), An Imperfect Occupation: Enduring the South African War, University of Illinois Press. Page 93. 1 2 Boje (2015), page 93. ↑ Packenham (1979), pages 534-535. ↑ Leach (2012), pages 2-4. ↑ Leach (2012), page 3. ↑ Leach (2012), pages 3-5. ↑ Leach (2012), page 7. 1 2 Packenham (1991), page 577. ↑ Davenport, T. R. H. (2000) . South Africa: A Modern History. p. 228. ISBN 0-8020-2261-8. ↑ Thomas Pakenham (1991), The Scramble for Africa, 1876-1912, Random House, New York. Pages 580-581. ↑ Charles Leach (2012), The Legend of Breaker Morant is Dead and Buried: A South African Version of the Bushveldt Carbineers in the Zoutpansberg, May 1901-April 1902, Leach Printers & Signs, Louis Trichardt, pages xxviii-xxix. ↑ Leach (2012), pages 98-101. ↑ Arthur Davey (1987), Breaker Morant and the Bushveldt Carbineers, Second Series No. 18. Van Riebeeck Society, Cape Town. Pages 78-82. ↑ Leach (2012), pages 17-22, 99. ↑ Leach (2012), pages 22-23, 99. ↑ Leach (2012), pages 35-60, 100. ↑ Leach (2012), pages 61-72, 100. ↑ Leach (2012), pages 62-68, 73-82, 100. ↑ Leach (2012), pages 83-86, 100. ↑ Leach (2012), pages 87-90, 100-101. ↑ Leach (2012), page 100-101. ↑ Leach (2012), pages 97-98. ↑ Leach (2012), page 104, 106. 1 2 Leach (2012), page 105. ↑ Leach (2012), page 107. ↑ Leach (2012), page 203. ↑ Leach (2012), page 105-107, 203. 1 2 Leach (2012), page 109, 203. ↑ Leach (2012), page 113. ↑ Davey (1987), page 123. ↑ Davey (1987), page 122. ↑ Leach (2012), pages 54-55. ↑ Leach (2012), pages 105-109. ↑ Leach (2012), page 110. ↑ Leach (2012), pages 115-118, 203. 1 2 Packenham (1979), page 535. ↑ de Zayas (1989), page 3. ↑ de Zayas (1989), pages 3-10. ↑ de Zayas (1989), page 325. ↑ Telford Taylor (1 November 1993). 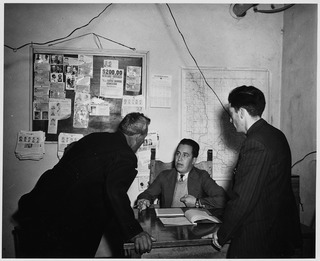 The Anatomy of the Nuremberg Trials: A Personal Memoir. Little, Brown and Company. ISBN 0-3168-3400-9 . Retrieved 20 June 2013. ↑ Cook, Tim (1999). No Place to Run: The Canadian Corps and Gas Warfare in the First World War. UBC Press. p. 37. ISBN 0-7748-0740-7. ↑ "Photographic Archive of Avonmouth Bristol BS11". BristolPast.co.uk. Retrieved 12 May 2014. ↑ O'Neill, Gerry (Spring 2006). "Scandal of The Baralong Incident Was Hidden in Veil of Secrecy" (PDF). Journal of the Sea. The Maritime Institute of Ireland. 1 (4): 8–10. Archived from the original (PDF) on 19 November 2007. Retrieved 18 February 2015. ↑ "Baralong Case". Sydney Morning Herald. 6 January 1916. p. 7. Retrieved 28 July 2013. 1 2 de Zayas (1989), page 8. ↑ E. Keble Chatterton, (1980), Q-Ships and Their Story, Ayer Publishing. ISBN 0-405-13034-1. Page 22. ↑ Hadley, Michael L. (1995), Count Not the Dead: The Popular Image of the German Submarine, McGill-Queen's Press - MQUP, p. 36; ISBN 0773512829. ↑ Chatterton, E. Keble (1980). Q-Ships and Their Story. Ayer Publishing. p. 26. ISBN 0405130341. 1 2 3 Alfred de Zayas (1989), page 5. ↑ Alfred de Zayas (1989), page 7. ↑ Alfred de Zayas (1989), pages 8, 279 note 32, 325. ↑ Alfred de Zayas (1989), pages 9-10, 279 note 42. ↑ Alfred de Zayas (1989), pages 4-5. ↑ Flint, Edwards R (2009). The development of British civil affairs and its employment in the British Sector of Allied military operations during the Battle of Normandy, June to August 1944 (PhD). Cranfield, Bedford: Cranfield University; Cranfield Defence and Security School, Department of Applied Science, Security and Resilience, Security and Resilience Group. p. 354. ↑ Biddiscombe, Perry (1998). Werwolf! : The History of the National Socialist Guerrilla Movement, 1944–1946. University of Toronto Press. p. 257. ISBN 978-0-8020-0862-6. ↑ Cobain, Ian (12 November 2005). "The secrets of the London Cage". The Guardian. Retrieved 17 February 2009. ↑ Gómez, Javier Guisández (2010). "The Law of Air Warfare". International Review of the Red Cross. 38 (323): 347–363. doi:10.1017/S0020860400091075. Archived from the original on 25 April 2013. 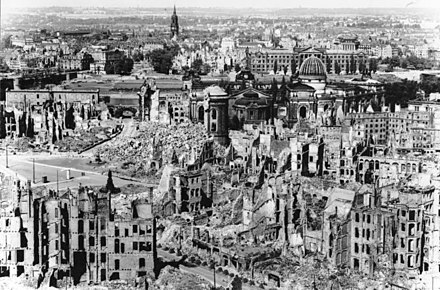 ↑ "Dresden Bombing Is To Be Regretted Enormously". Spiegel Online. 2 November 2005. Retrieved 15 January 2010. ↑ Shermer & Grobman 2009, p. 261. ↑ Innes McCartney (15 July 2013). British Submarines 1939-45. Osprey Publishing. p. 21. ISBN 1-8460-3007-2. ↑ Nachman Ben-Yehuda (15 July 2013). Atrocity, Deviance, and Submarine Warfare: Norms and Practices during the World Wars. University of Michigan Press. p. 133. ISBN 0-4721-1889-7. ↑ de Zayas (1990), pp. 245-260. ↑ "HMS Torbay (N79) - World War II". Archived from the original on 23 September 2014. Retrieved 23 December 2014. ↑ Michael L. Hadley (17 March 1995). Count Not the Dead: The Popular Image of the German Submarine. McGill-Queen's University Press. p. 135. ISBN 0-7735-1282-9. ↑ Rohwer, Jürgen (2005). Chronology of the War at Sea, 1939-1945: The Naval History of World War II. Naval Institute Press. p. 192. ISBN 1-59114-119-2. ↑ "Lazarettschiffe Tübingen". Feldgrau.com. Retrieved 22 May 2014. ↑ "Alfred M. de Zayas, Die Wehrmacht-Untersuchungsstelle für Verletzungen des Völkerrechts". Lazarettschiffe Tübingen. Lindenbaum Verlag. Retrieved 22 May 2014. ↑ "New documents reveal cover-up of 1948 British 'massacre' of villagers in Malaya". The Guardian. 9 April 2011. Retrieved 4 December 2013. ↑ "Batang Kali massacre families snubbed". The Sun Daily. 29 October 2013. Retrieved 4 December 2013. ↑ "UK urged to accept responsibility for 1948 Batang Kali massacre in Malaya". The Guardian . 18 June 2013. Retrieved 4 December 2013. ↑ "Malaysian lose fight for 1948 'massacre' inquiry". BBC News. 4 September 2012. Retrieved 13 January 2014. ↑ Fujio Hara (December 2002). Malaysian Chinese & China: Conversion in Identity Consciousness, 1945-1957. University of Hawaii Press. pp. 61–65. ↑ Pamela Sodhy (1991). The US-Malaysian nexus: Themes in superpower-small state relations. Institute of Strategic and International Studies, Malaysia. pp. 284–290. ↑ MARK CURTIS (2003). WEB OF DECEIT: BRITAIN'S REAL FOREIGN POLICY: BRITAIN'S REAL ROLE IN THE WORLD. VINTAGE. pp. 324–330. ↑ Caroline Elkins (2005). Britain's gulag: the brutal end of empire in Kenya. Pimlico. pp. 124–145. ↑ David Anderson (23 January 2013). Histories of the Hanged: The Dirty War in Kenya and the End of Empire. W. W. Norton. pp. 150–154. 1 2 "Kenya: UK expresses regret over abuse as Mau Mau promised payout". London: guardian. 5 June 2013. ↑ "Sins of colonialists lay concealed for decades in secret archive". London: Guardian. 18 April 2012. ↑ Maloba, Wunyabari O. Mau Mau and Kenya: An Analysis of a Peasant Revolt. (Indiana University Press, Bloomington, IN: 1993) pp. 142-43. ↑ "Mau Mau massacre documents revealed". BBC News. 30 November 2012. Retrieved 6 December 2013.